In 1137 she was but a teenager, & not only did she inherit Aquitaine but also wed the future king of France! In 1137 <a href="http://www.j-archive.com/media/2014-06-13_J_29.mp3">she</a> was but a teenager, & not only did she inherit Aquitaine but also wed the future king of France! 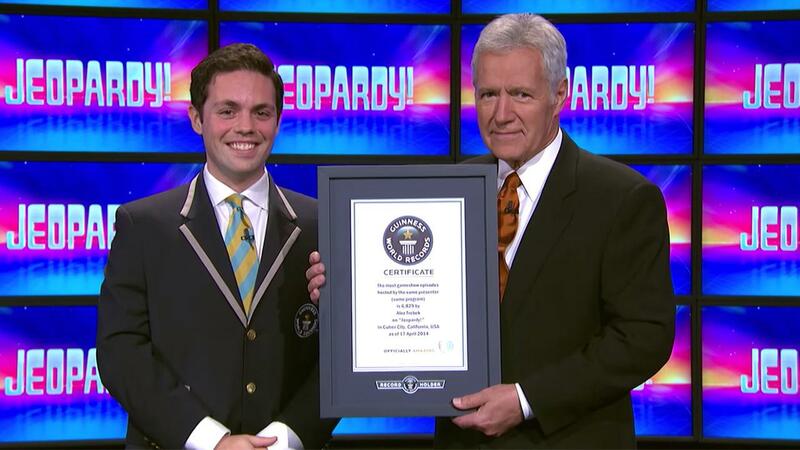 Mike Janela of Guinness World Records presents Alex Trebek with a framed certificate recognizing his hosting record: "The most gameshow episodes hosted by the same presenter (same program) is 6,829 by Alex Trebek on 'Jeopardy!' in Culver City, California, USA as of 17 April 2014". Hilton doesn't own Holiday Inn but does own this other "H" "Inn"
12th century England is the setting of Ken Follett's historical novel these "of the Earth"